Webstralia as a web design and web development company is continually focused to deliver cutting-edge services to our clients across the Australia, and Ajax jQuery development has turn out to be the technology that has allowed us to provide quality solutions in web development and web-based application development. This separates us apart from our competition and enhances our competency in web design and web development. Solutions with jQuery Ajax development are quickly to deploy and are more affordable as compared to Silverlight and Flash. 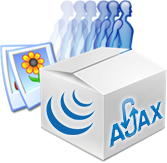 Ajax and jQuery could be integrated with several other technologies such as PHP, Joomla, .NET etc. which is an add-on advantage. A website incorporated with animation effects certainly looks attractive and is able to captivate the visitors’ attention; however, such a website lacks in terms with search engine friendliness. Overcoming these obstacles, Ajax jQuery development helps to develop a website with animation effects and which is also search engine friendly. Contact us with your requirement and know how we can help with an excellent solution in Ajax jQuery development.